How Do I Know If a Tree Needs To Be Removed? In this blog post, we’ll continue our discussion about your rights and frequently asked questions regarding tree rights, responsibilities and ownership. We’ll dive deeper into the responsibilities you have as a homeowner when it comes to trees that belong to your neighbor that have fallen and caused damage to your property. In case you wanted more information about this topic, you can refer to our previous blog post, Tree Trimming Ettiquette & Your Neighbors: Know Your Rights. We use the most modern equipment, latest tools and techniques for performing tree work such as trimming, pruning, and removal. 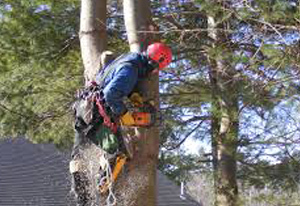 We provide professional and safety conscience tree care services for commercial clients as well as contractors.